If you’re looking to study abroad, I would highly recommend studying in Ireland. There are many great opportunities and experiences you can gain from attending school here. First of all, there is so much history and tradition in the country. Everywhere you look there are castles—from older ones crumbling away in random fields to fully refurbished ones. It’s very easy to explore different destinations around the 26 counties of Ireland while studying here too, whether a weeklong trip or day visit. I’m studying at the University College Cork (UCC) and have found there is plenty to do in Cork to keep you busy while on study breaks. 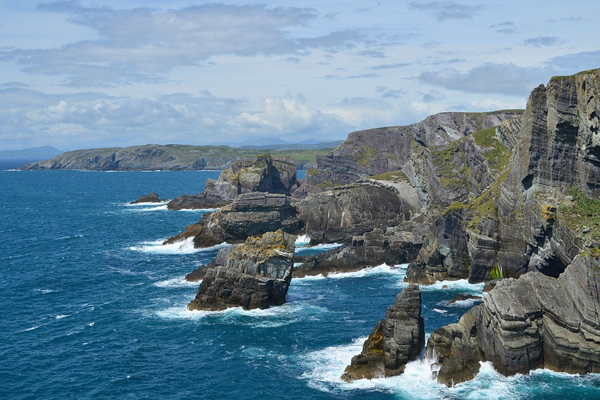 You could take a weekend trip to West Cork to see the coast, a day trip to Blarney Castle to kiss the infamous Blarney stone, or go to Cobh to see where the Titanic sailed away. Studying here has given me a chance to see all these historical sites I may not have had the chance to visit otherwise. Ireland is also a really great starting off point if you are interested in traveling Europe; you can easily access all of Europe from the various airports throughout Ireland. The most affordable airline to fly to Europe on is typically Ryanair, an Irish-based line that’s very student-friendly. For example, I went to Paris this past September on a round trip flight that only cost 58 euros (around $75). Another great way to travel is to get involved in one of the school’s clubs—especially the sports clubs, because they tend to go to tournaments all over Europe. Most of the universities offer a wide range of different groups to help make the most of your experience. At UCC there are about 130 different clubs and societies. The International Society is another suggestion if you’re looking to travel because they take weekend trips to places like Dublin and Galway. Other activity-based clubs include American (flag) football, trampolining, rugby, and parachute, just to name a few. If you are looking to do volunteer work, I’d recommend societies like St. Vincent de Paul, Amnesty International, or Children’s Aid. Getting involved in clubs and societies is also a good way of meeting new people and making friends. Since there is so much to see and do in Ireland and Europe, I recommend not just studying abroad for a semester but taking a bigger leap and going for a full four-year degree. If you do decide to go for the full degree, you should know that college in Ireland is a little different from the States. At UCC, the school year starts a little later than U.S. schools (in mid to late September). Winter break is about three weeks, and classes usually end for the year at the end of March. Spring break is all of April, not just one week—however, it’s considered a “study month” rather than a long vacation so you can prepare for your final exams, which take place in May. Also, whether a class is a full year or half a year, all final exams take place in May. This may vary slightly based on your focus, but generally, this is typical. There are so many ways to spend your time in Ireland, but whatever way you choose, it will be a unique experience. To learn more about the opportunities to study in Ireland, check out educationinireland.com. Meghan Carter is currently a second-year student with a focus in accounting at University College Cork. She’s originally from New Jersey, and when she’s not studying, Meghan loves exploring Cork, visiting family in other parts of Ireland, and traveling Europe.